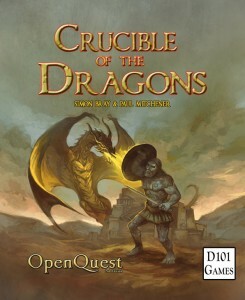 Crucible of Dragons now available! 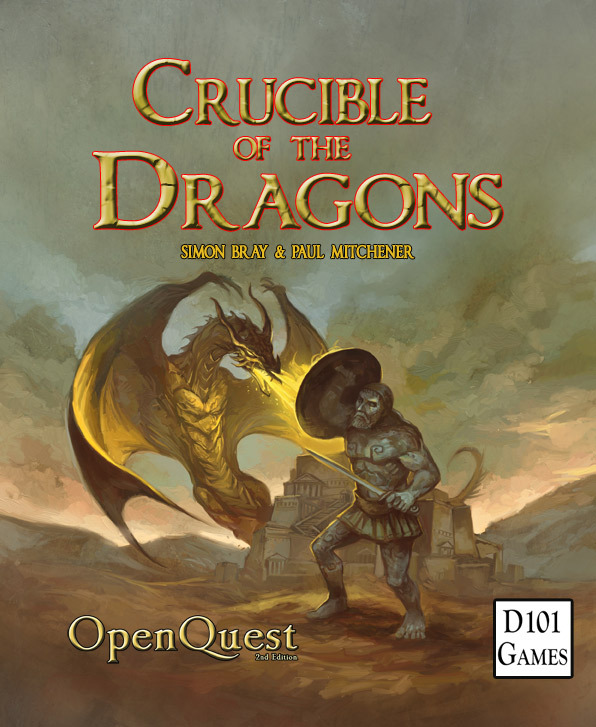 A 260 page sandbox setting/adventure book for OpenQuest, but broadly compatible with other D100 rpgs, inspired by Ancient Greece, Clark Ashton Smith and Ray Harryhausen monster movies! 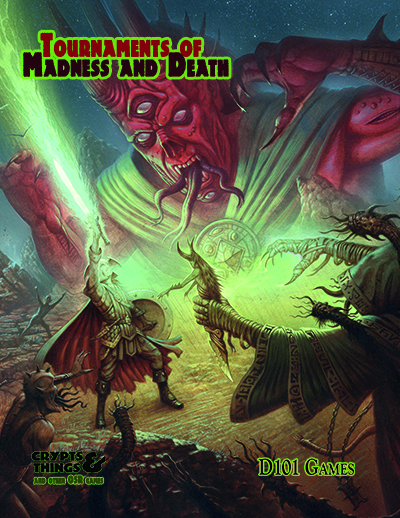 This is for OpenQuest and is in the upcoming, updated version of Life & Death. A rag tag group of tomb raiders, thugs for hire, dubious sorcerers and all manner of social misfits who would rather go down a long abandoned underground complex risking danger and death in search of fame and fortune than do an honest days work. Early on in the days of the profession someone thought it best to create a Guild to manage its members, provide some sort of ethical backbone and curb some of the worst excesses of its members in civilised areas (outright theft, banditry, kidnapping, murder etc). The lower ranks of the Guild, affectionately known as the Rabble, are sent on quests alongside more experienced members into long lost ruins of the Lion Empire and other civilisations that came before it. Their rewards are mainly the material: the Gold and Gems that make up the majority of the loot. The more experienced members take their share as the exotic items rumoured to be imbued with ancient magics.